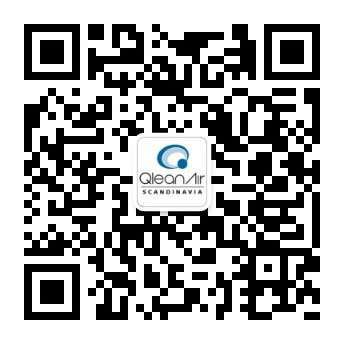 Cost savings and risk reduction with QleanAir smoking cabins. Thanks to the smoking cabin major savings can be made when smoke breaks are shortened, use of premises is optimised and energy costs are reduced. Also, the risk of cigarette ends starting fires on the premises is non-existent with our patented fireproof Ash Handling System. 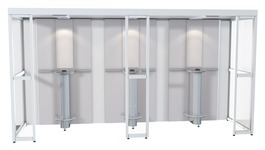 Easy to install - completely free standing. Self contained filter solution. No ventilation needed. 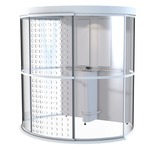 The safest smoking cabin on the market with optional safety glass.